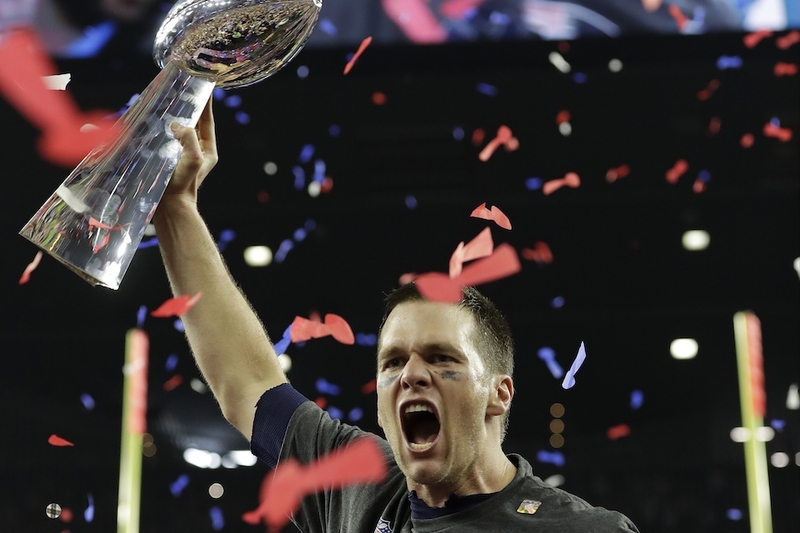 New England Patriots’ Tom Brady hoists the Vince Lombardi Trophy after the NFL Super Bowl 51 football game against the Atlanta Falcons Sunday, Feb. 5, 2017, in Houston. 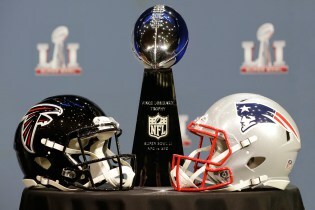 The New England Patriots won 34-28 in overtime. HOUSTON (AP) — Tom Brady, Bill Belichick and the rest of the New England Patriots have long been reluctant to rank their victories. They’ve refused to label any given season, or title, sweeter than another. New England trailed by 25 points and Brady had a case of happy feet and a wobbly arm that made him look every bit of his 39 years. Before Lady Gaga had even dropped from the sky for Sunday’s halftime show, the pregame anointment of Brady as the greatest to ever play was being rightfully ripped on social media that, along with the scoreboard, had all but handed Atlanta this game. The last touchdown wrapped up a 34-28 victory, yet felt inevitable and anticlimactic despite coming in the first-ever overtime in the Super Bowl’s 51-year history. The catch highlighted New England’s 91-yard, game-tying drive and extinguished whatever fight was left in an Atlanta defense that looked unbeatable for 2 1/2 quarters — never more than when Alford intercepted Brady and took it 82 yards for a score that made it 21-0 late in the second quarter. Another record belonged to running back James White — New England’s latest go-to guy on its long list of interchangeable parts. White’s three touchdowns and one 2-point conversion equaled 20 points. That knocked Denver’s Terrell Davis and about half of the 1980s and ’90s San Francisco 49ers out of the record books.